Metro ran six trains an hour through Sunderland during the Tall Ships Races. The Tyne and Wear Metro carried more than 130,000 extra passengers during last week’s Tall Ships Races festival in Sunderland. Passenger numbers peaked during Saturday’s Parade of Sail, when there were around 50% more people than normal using Metro – almost 60,000 extra journeys. Thousands of visitors used the Metro to get to Sunderland for the Tall Ships Races. The figures were released by Nexus, the public body which owns Metro and which put on extra trains and drafted in extra station staff to welcome crowds flocking to Sunderland for the historic event. Tobyn Hughes, managing director of Nexus, said: “Metro is part of everyday life in North East England, and that’s about supporting big events as well as the daily commute to work or school. “We had a great few days bringing people to Sunderland for the Tall Ships Races, which crowns a busy summer where Metro has already shown its value during stadium concerts by Ed Sheeran and the opening of the Great Exhibition of the North. “For each of these major events, Metro has put on extra trains plus running services later than normal, into the early hours when they have been needed. "We’ll be doing that again for the Little Mix concert at Gateshead Stadium at the end of this month, and of course the Sunderland International Airshow. Coun John Kelly, portfolio holder for communities and culture at Sunderland City Council, said: “We are delighted with the success of The Tall Ships Races, which showcased Sunderland at its best. "It wouldn’t have been possible without the support of a huge number of individuals and organisations, all working together. Metro ran six trains an hour through Sunderland throughout the four days of the Tall Ships Races, providing an easy connection with Gateshead, Newcastle and South Shields. This included 70 trains above the normal service it provides. 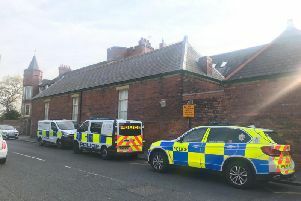 Customer service staff were drafted in to stations around the Tall Ships Races venues along the banks of the Wear, Roker seafront and the city’s port. They worked closely with event volunteers to provide information and handy hints for visitors. Over four days the special event plan proved to be bigger than for the Great North Run, which is normally one of Metro’s busiest weekends of the year.